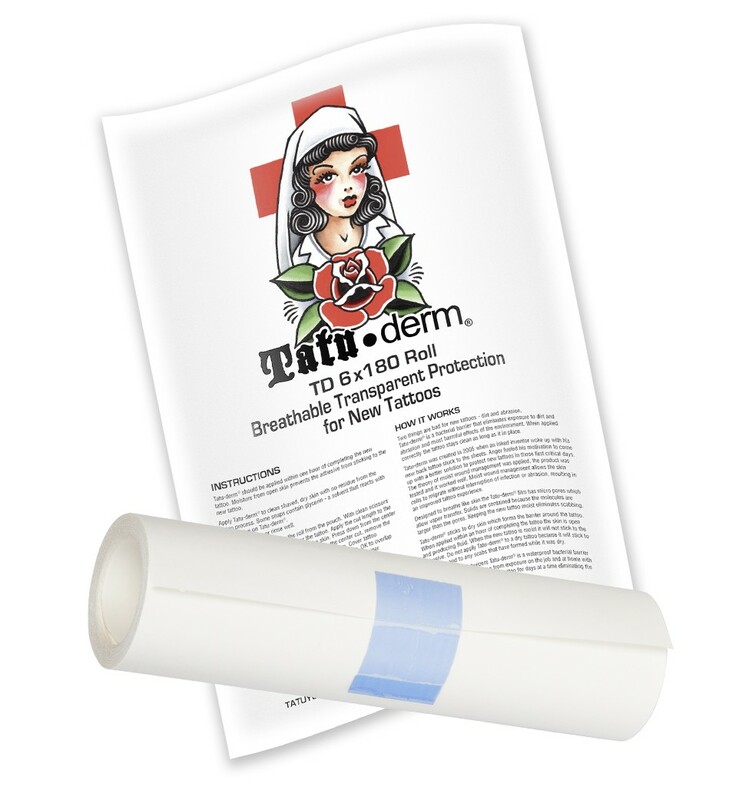 Tattoo conventions gave us the chance to bring Tatu-dermÂ® to our early customers. Social media helped share more information with friends near and far. Once tattoo artists starting asking their suppliers for it, we began selling to tattoo supply distributors in addition to direct sales on our website. We now sell to customers in all 50 states and have over 30 distributors on 5 continents. We are fun loving regular people just like you. We love getting new tattoos, riding motorcycles, spending time with family and friends. We love our work and ourcustomers and we really appreciate your business. Tatu-derm should be applied within one hour of completing the new tattoo. Moisture from the open skin prevents the adhesive from sticking to the new tattoo.Apply Tatu-derm to clean dry skin with no residue from the tattoo process. Tatu-derm should completely cover the tattoo with one inch all around for good adhesion. Glycerin in green soap residue will react with the adhesive and should be rinsed well before Tatu-derm is applied.Tatu-derm should stay in place for 12 to 24 hours while skin is open and producing fluid. After 24 hours the Tatu-derm can be removed and replaced. The second application can stay in place for couple days as long as it is sticking well to the skin and there is no fluid build up. If the tattoo is done lightly and there is no fluid buildup the initial application can stay in place longer.If redness occurs remove the Tatu-derm and discontinue use. If you are allergic to adhesives test a small piece on your skin. Redness will clear up once the Tatu-derm is removed and the tattoo will not be affected.To remove Tatu-derm, peel it back SLOWLY from the edge or corner. Peel it back over itself, not away from the body. Avoid stretching the skin.Once Tatu-derm is removed, clean and dry the area and proceed with your preferred topical aftercare.Tatu-derm is FDA registered product, patented, manufactured and sterilized in the USA. 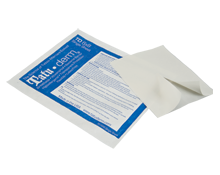 Tatu-derm is hypoallergenic and latex free. 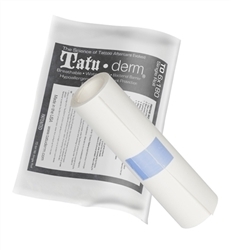 Tatu-derm has a medical grade waterproof adhesive. 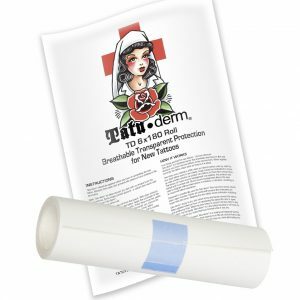 Tatu-derm uses the theory of moist wound management which allows the skin cells to migrate without interruption of infection or abrasion, resulting in an improved tattoo experience.